In a prior article published March 24, I discussed some of the lessons learned from Nordic countries in achieving gender equity. To avoid the same glitches Nordic countries experienced, public administration researchers and policies that address the gender gap in the workforce should pay attention to socio-cultural and personal factors. 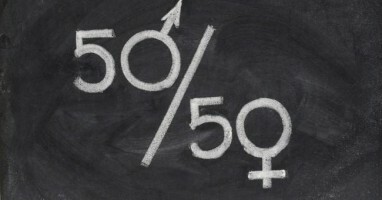 In this article, I build on my prior argument and expound on reasons for the persistent gender gap in the workforce and argue that it potentially stems from our intended or unintended disregard of in-depth understanding of structural forms of discrimination against women in society. Policy actions and program initiatives must be based on an in-depth understanding of structural forms of gender based discrimination practices that are socially constructed. Policies addressing these inequalities must be responsive to flawed socio-cultural construction of the position of women in society. Gender based discriminatory practices that are manifested in the workforce are a natural extension of socially constructed perceptions of the role and position of women in society. Public policies that address the gender gap have traditionally argued for a head start on opportunities for women, including quota systems in employment, education and political participation. On the other hand, protective policies like the Equal Pay Act of 1963 have provided protection for women from discrimination in the workforce. However, these policies have focused on addressing the symptoms rather than root causes. Feminist critical theorists challenge root causes of structural forms of discrimination and call for deconstructing the perceptions of the role and position of women in society. Leading theorists like Gayle Rubin, Iris Young and Michel Foucault have tried to help us understand the social construction of the position of women and minorities in society as “the other” and “the less abled.” These critical theorists make important assertions on the influence of socially constructed gender roles. First, the assumed role of women as “less able” or “the other” positions them as incompetent or “unfit” to take up certain roles in society and the workforce. Second, the socially constructed and assigned position becomes deeply embedded; women themselves function within that space, making choices that reinforces the system. Iris Young, in her 1980 article titled “Throwing Like a Girl,” presents her analysis on how socially constructed identities of women limit the space within which they function, even though that identity is not anatomically justified but socially imposed. Young argues that women are positioned as weaker bodies, where their motility is fixed and is within limited spaces. Based on Young’s analysis, the position of women in society, particularly in the workforce, is a manifestation of socially imposed roles of women as “assistants” and “helpers” but not managers or leaders. Women are assumed to play a desirable role in certain occupations and agencies, such as education and health services, where men are assumed to be more “fitting” for leadership roles. The gender equity gap that persists, even after 50 years of diligent implementation of equal employment opportunity policies, should inform us that our policymaking, program design and implementation process needs to be revisited. That may also mean that policies and programs need to strive to understand and address driving forces of this inequity. Perhaps, policies and programs should give diligent attention and effort to the biases that society has toward women playing roles historically designated as male. More than anything, this process could change women’s perception of their won role in the workforce and encourage them to strive to expand their span of influence beyond their traditionally assumed roles. Author: Sebawit G. Bishu is currently a Ph.D. Candidate of public affairs at Florida International University. Her research interests are related to human resource and diversity issues in the public sector, gender and institutional development and public policies related to urban transformation. She can be contacted via email at [email protected].